Hyundai Motor America’s president and CEO John Krafcik has gone to great lengths in recent presentations to the media to demonstrate that corporate average fuel economy numbers of 50 mpg are attainable by 2025 largely because CAFE is based on older EPA reporting standards and not the current fuel economy tests. Currently, CAFE numbers are only announced on an annual basis and those numbers don’t come out for months. The 2009 CAFE numbers, for example, were announced in November 2010. 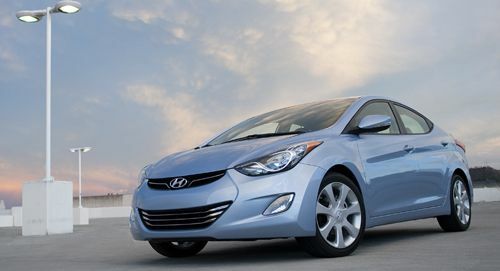 For January 2011, Hyundai's sales-weighted CAFE level was 34.7 miles per gallon, with a model year mix for the month of 86 percent 2011 and 14 percent 2010 model year vehicles. This is a significant increase from Hyundai's most recent official CAFE level for the 2009 model year of 31.7 mpg. That 34.7 mpg number is significant to Hyundai because the Korean manufacturer made a commitment back in 2008 to achieve a CAFE number of 35 mpg by 2015. As sales of its Hyundai Elantra and Hyundai Sonata Hybrid get stronger (both average over 40 mpg), that CAFE goal becomes more attainable. "With 2025 CAFE targets being discussed in the 47-to-62 mpg range, Hyundai's fuel economy and sales achievements across a wide range of vehicle segments may provide some confidence to policy makers that this industry can achieve remarkable fuel efficiency gains without compromising vehicle sales, appeal, value, or customer satisfaction,” Krafcik said in a news release.